This trellis is in a stripped back contemporary piece designed to complement any climbing flower chosen to train through it. It's a flexible-sized repeat pattern that allows you to use it by itself or in multiples to create a larger feature. 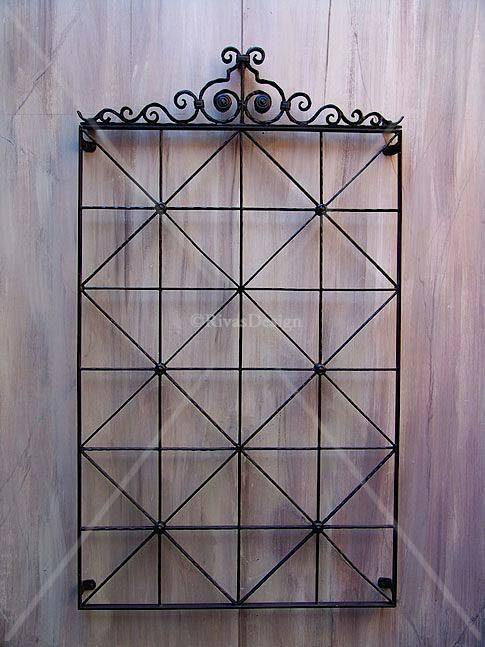 Cap it off with the scroll designed for this trellis as an optional extra. You can add this on top of the trellis or centrally positioned on the long side. 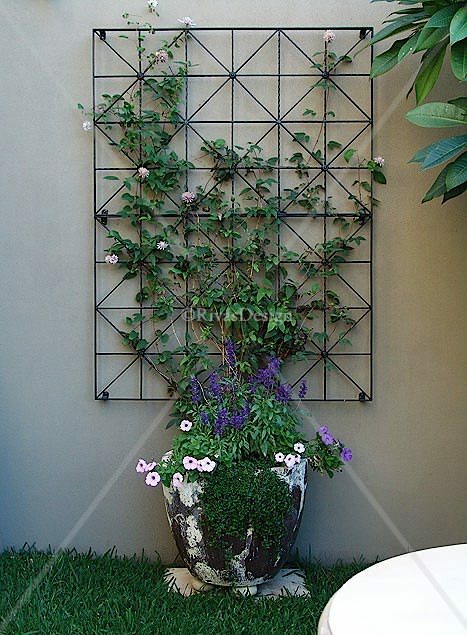 This trellis is designed to sit 40mm off the wall casting gorgeous shadow effects on the wall behind it. 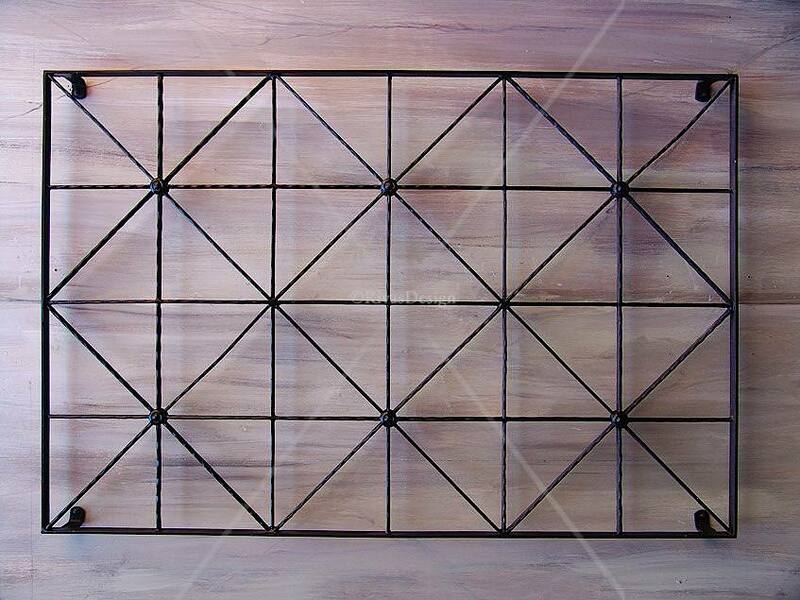 This trellis was designed as a repeat pattern - using multiple pieces creates a large feature. Combining simple geometric lines where intrices are capped with detailed button elements. 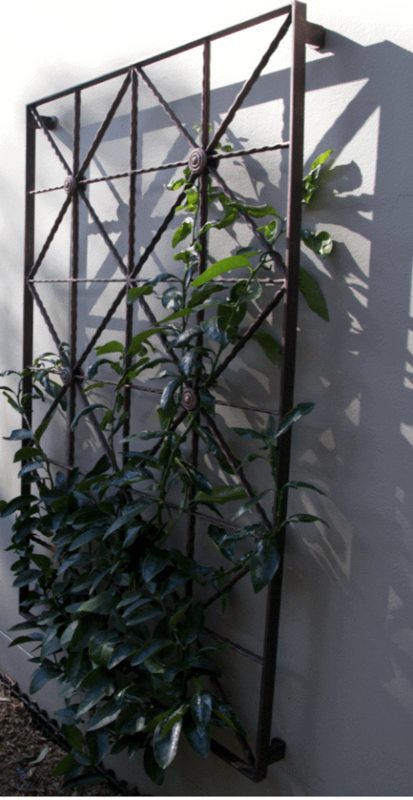 This trellis sits off the wall and is perfect to train a flowering climber through. Check out the optional scroll for this piece. Made in solid wrought iron & galvanised to last. Guaranteed to create a great feature when complemented with flowering climbers. Supplied designer direct for great value. Delivered Australia wide - ready to hang | Sydney| Brisbane | Melbourne | Adelaide | Perth.